Unreal Tournament 3 is the fourth game in the Unreal Tournament series and the eighth Unreal game, but is numbered in terms of the engine it runs on. 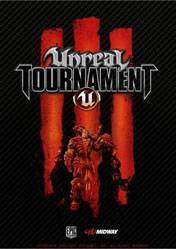 The original Unreal Tournament uses the first Unreal Engine, while UT2003 and UT2004use Unreal Engine 2. Since 2004 incorporates all of the content from 2003, they are regarded as part of the same generation. UT3 is the third generation, as it runs on Unreal Engine 3, and does not reuse any content.In March 2008, Midway announced that UT3 had sold over a million copies worldwide. + Variety of game modes. + Various weapons and vehicles.